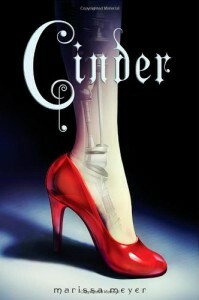 Okay, firstly, this idea for this book was seriously cool - a cyborg cinderella? Awesome. And after I read it, I still thought it was cool. Cinder was fresh and interesting and completely unexpected. The dystopian aspects of it were well done and how I would imagine the future-y sort of place would be - a world run by leaders of the continents (not countries) and highly technological. I just had one tiny problem with this. It took me a while to realise why this book suddenly went from pretty much sci-fi to dystopian-fantasy but it was because of the whole Lunar plot. The idea is epic - a magical civilisation on the moon - cool, right? It just... kind of annoyed me because it just didn't jump out as realistic. 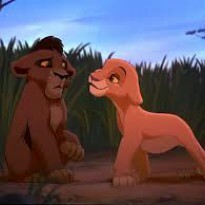 My other problem was Prince Kai. He was flat and boring and kind of empty. I didn't really like him because I didn't really feel like he was a real person. Cinder does get feelings for him because he's 'oh-so charming', and that's fair enough, whatever floats your boat, but it was like he reciprocated them only through Cinder's eyes. It's not like he ever thought of Cinder. I just thought that was weird because we did get chapters in his POV, but there were all about politics which got boring pretty fast. Cinder, on the other hand, was bold and brave and interesting because she was self-conscious and unsure of herself but had robot parts. Then we find out about her background and the plot thickens like crazy. The last part felt a tad rushed and busy but the cliffhanger at the end was well done. But it all made sense and even things that had confused me at first (like the things with Princess Selene) were cleared up. I thought that that was a sign of good writing. Speaking of, the dialogue was well-written and not too stilted. I will definitely read the next one, I'm excited to see what happens to Cinder.